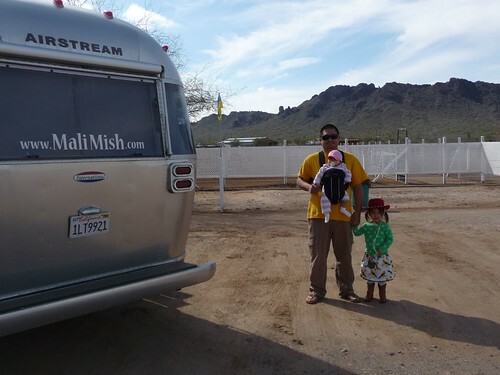 Mali Mish – Rooster Cogburn Ostrich Ranch, Part Deux. 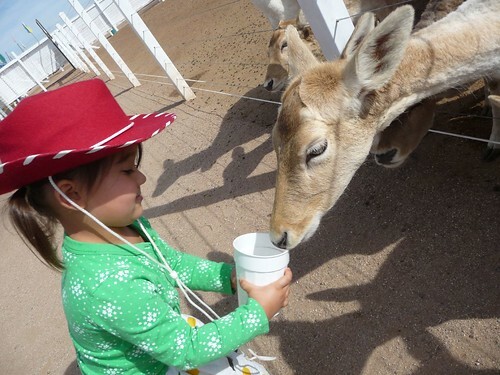 Rooster Cogburn Ostrich Ranch, Part Deux. 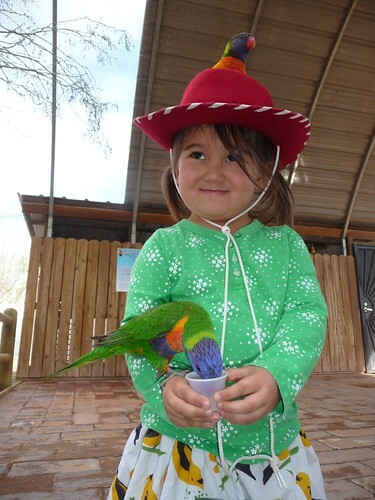 On our way to Tucson, we stopped at Rooster Cogburn Ostrich Ranch. We stopped here last year for the first time when we visited here and we remember Ava having a good time so we wanted to stop again. 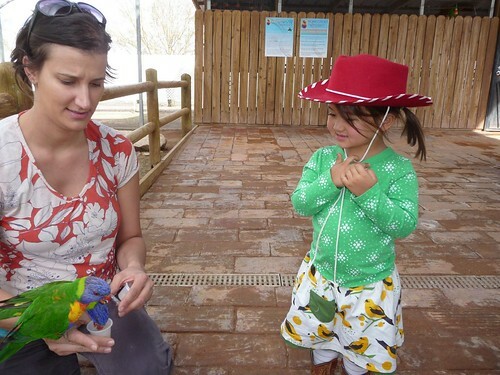 We try to instill our love of animals onto our girls and places like these are great places for them to interact and learn about these beautiful creatures first hand. Here are some photos we took during our visit. The cost is $5 for adults and kids under 7 are free. The $5 entry fee gets you a bucket of feed and a little cup of nectar for the birds. Guess who is in charge of babysitting today. These deers are probably kept hungry until later in the day because they were in a frenzy when we walked through the gates. 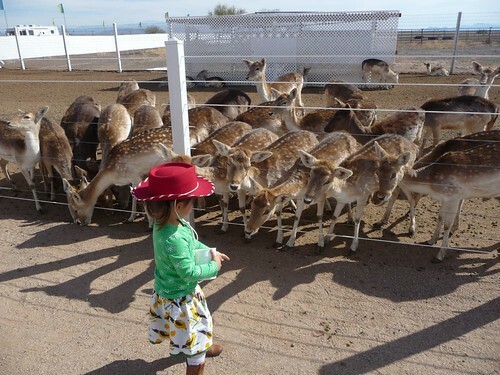 Here is Ava getting a little timid about these deers. This is a new feature that wasn’t here last time. 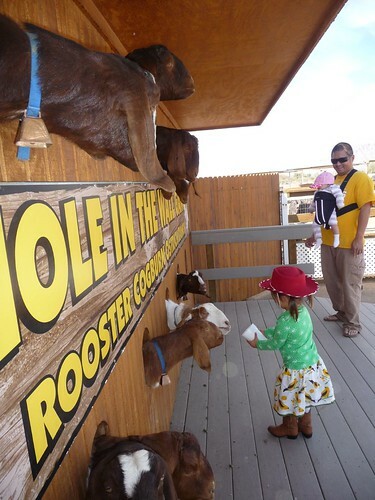 It is quite hilarious how the goats stick their heads through the wall looking for food. The wall make Ava feel more comfortable in feeding them straight out of the cup. She ran back and forth making sure everyone had their fair share of food. There is a video at the bottom of this post of her doing just that. 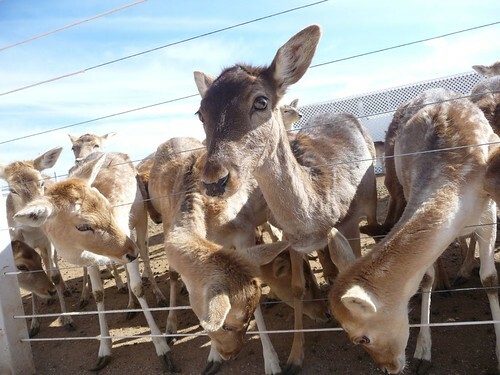 With her embolden bravery while feeding the Hole in the Wall Gang, she wanted to go back to the deers and feed them from the cup. She is not quite comfortable letting them eat out of her hands yet. Since it is an Ostrich Ranch, there are obviously ostriches here. But they are notoriously aggressive and can be pretty painful to get a little peck from those big bird beaks. Ava decided to skip on down to the next animal. Birds! Marlene’s favorite animals. Ava at first was not quite ready to feed them yet so Marlene showed her how it is done. In no time, she became a pro. 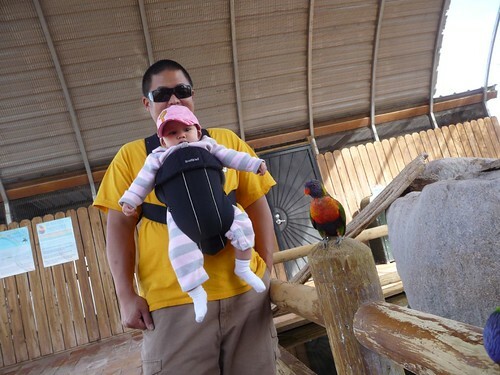 Mila, maybe next time you can do it too! Arkansas, Oklahoma, Texas, New Mexico, Arizona and California: October 2014. Kam Wah Chung State Park in John Day, Oregon. Day 2: Phoenix to Tucson, in the midst of the Gem Show. Day 3: Flip flops and batteries. 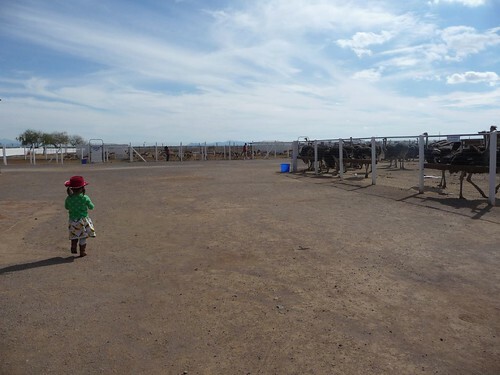 3 Responses to Rooster Cogburn Ostrich Ranch, Part Deux. Sure enjoy reading your blog. Godspeed on your trip and give us a ping if you need us to check on anything while you’re on the road. David, Ari, Willie and Oreo Jr. Thanks David for your offer! Hopefully we have things covered at home but you just never know. Hope all is well with you and your family!